Coming up! 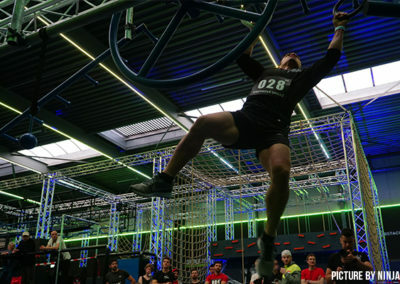 saturday February 9th the 3rd Ninja Skillz Challenge ! 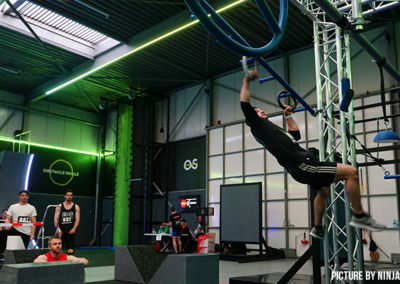 Our Challenge is a Ninja Warrior based competition where both men and women, boys and girls (16+), are challenged with a set up Ninja Warrior Parcours. 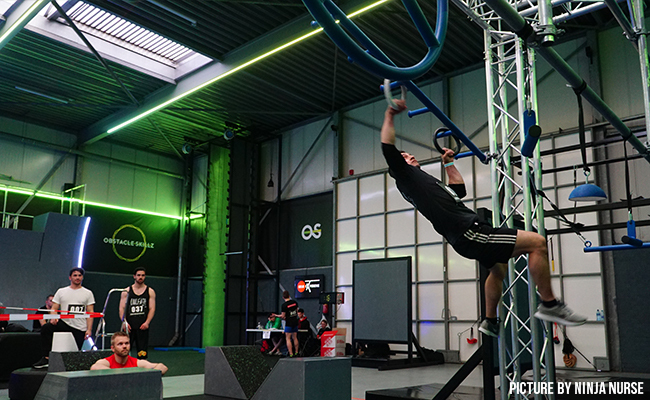 Our goal is to make the Ninja Warrior sport in the Netherlands and Europe great. You will challenge yourself both physically and mentally during the competition! Competing is only allowed if the participant is 16 years of age or older. If you have registered via (…… link ………… ..) or in any other way for the contest, this is registered by name. If you decide not to participate in the contest, you can change the name to another person who will take your place. The new person must comply with the applicable requirements. The payed participation costs or part of it will not be returned. A person can not double-register himself or someone else. 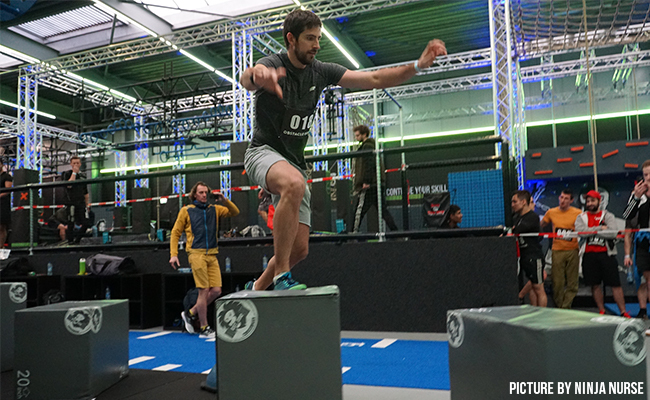 The Ninja / obstacle sport is a form of sport with a chance of injury. Participants are responsible for the assessment of whether they should or should not use something in the course. When you take part in the event, the participant carries the full risk themself. The organization, the personnel or third parties can not be held liable in any way in the event of an injury, accident or in any conceivable form whatsoever. Participants start their run at the moment indicated by the organization. * Touching a designated object or floor, or use where that is not allowed. The decision of the organization is binding. There will be a cameraman from the organization. When the organization is in doubt they will consult their own video. Videos made by participants, spectators or other parties may only be offered when the organization requests this. Based on personal motivation, a participant can not appeal against a decision by the organization via a personal video. Magnesium will be offered at the start of the course. The use of this is permitted on hands. 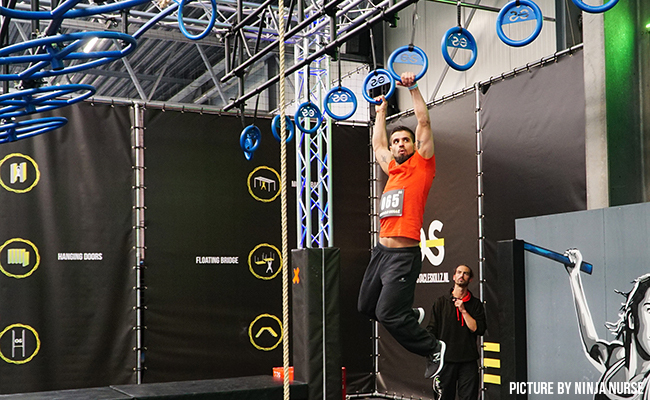 It is not allowed to use other grip-improving products during the competition. Tape may only be used if necessary. This means that it is necessary so that there will be no blood or other wound fluid on obstacles. The organization reserves the right to stop someone from starting for medical reasons. A participant can earn points while taking the course. The further a person gets in the course within the specified time, the higher his score is. The points are indicated during the game and are visible. When completing the course within the time you get the maximum score. 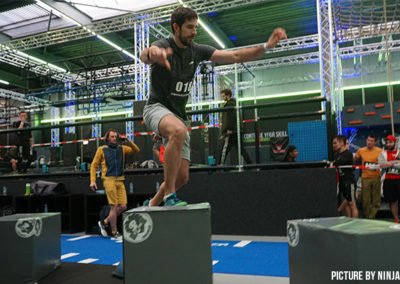 When a participant ends his run in a different way, the score is the last point of control. This decision is taken by the organization. After Course 2 there is a cut in participants. The cut is based on “points over time”. The number of points that a participant has will determine whether he / she can continue to the final. 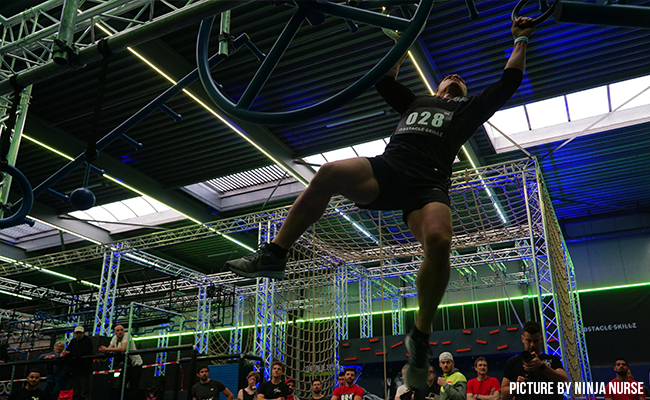 With a perfect score of 150 points from course 1 and course 2, the participant automatically progresses to the final. 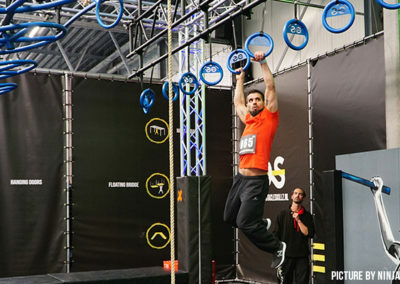 During the cut, the participant keeps his points and takes them to the final. The courses will be indicated before the run by the organization together with all the rules of the relevant course. At this moment there will also be room for questions about the course. There are prizes for different rankings. These cash prizes have a corresponding formula. When the best woman does not have a podium position. In a normal podium place for a lady, the highest ranking counts because the podium place would be higher than a prize. The person with the highest number of points in total across all courses is the winner. Descending to place 2, place 3 and Best Woman. In case of a tie in points we look at the distance covered in course 3. If this is also the same then we look at the set time in the last course. No Food on the Course. You have to wear shoes on the course. Be careful with jewelry and piercings. Take them out or tape them.